A fixed one-off cost – no surprises! A ready theme – who for and when? Our ready themes have been designed above all for further development. Their modular structure and adaptability make them easy to modify, which is directly reflected in the amount of work to be done and its cost. 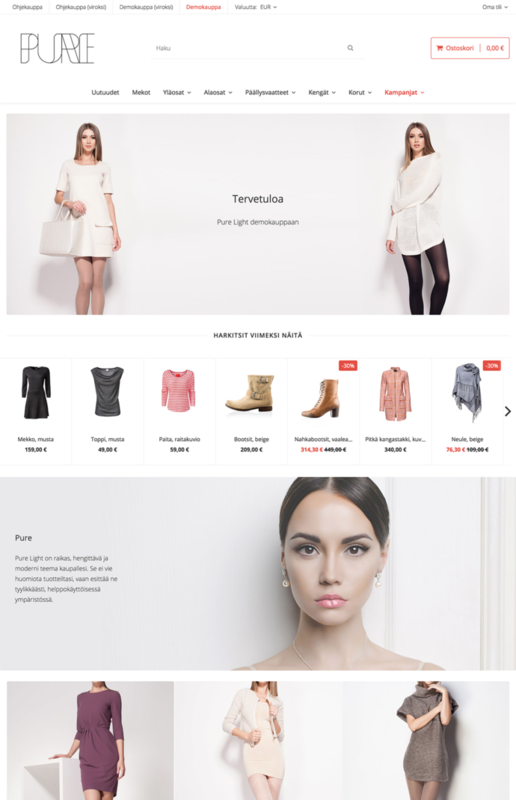 The Theme Store contains professionally-made themes for MyCashflow stores. 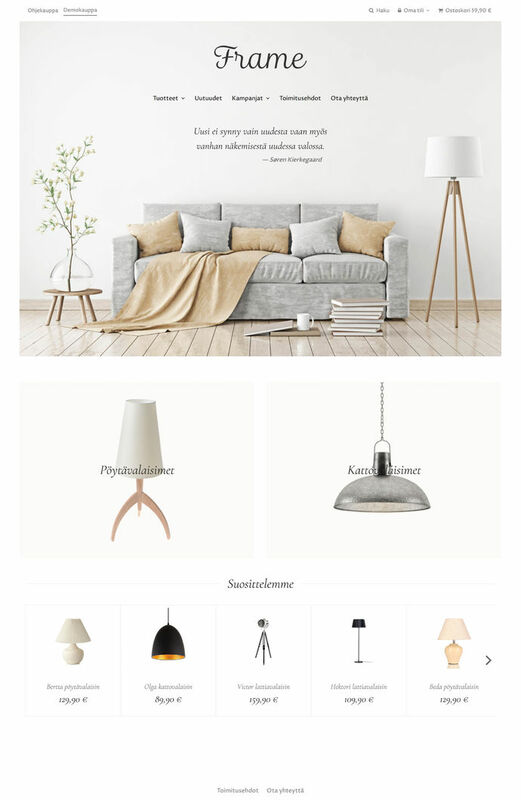 MyCashflow is the most popular Finnish ecommerce platform, and a fully maintained service that contains everything you need to run a succesful online store.